Everyone has a hobby, whether it’s reading a book, listening music, dancing, playing indoor and outdoor games, singing, playing a guitar, etc. I’ll take the last one which is playing a guitar! Yes, unlike other hobbies, playing a guitar is much harder than it looks. But if you’ll put the required efforts in it, then you can learn to play it very quickly and easily. Once, you’ll learn it you’ll really enjoy being a part of it. Now, the problem is, you can’t learn how to play guitar on your own and don’t have enough time to join guitar classes. So what will you do? Don’t get worried! Coach Guitar Chords Tuner Tabs will make your dreams come true. 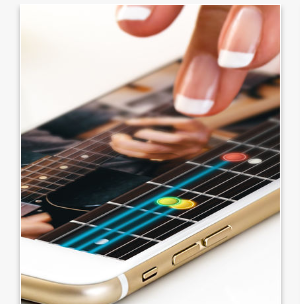 Yes, this is an application that you can install on your device and learn guitar on your fingertips. Seriously, it’s not a joke, this app is a visual teaching guitar app with colors. 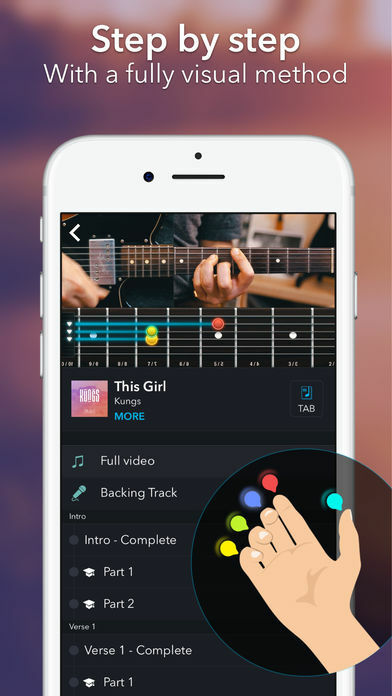 This is the only app which teaches you how to play popular songs without any music theory. Developed by Manomaya SA, this coach guitar app has been compatible with iPhone, iPod touch and iPad having iOS 8.0 or any later version of the Operating System. Coach Guitar Chords Tuner Tabs is the easiest way to learn to play guitar without guitar tabs information. 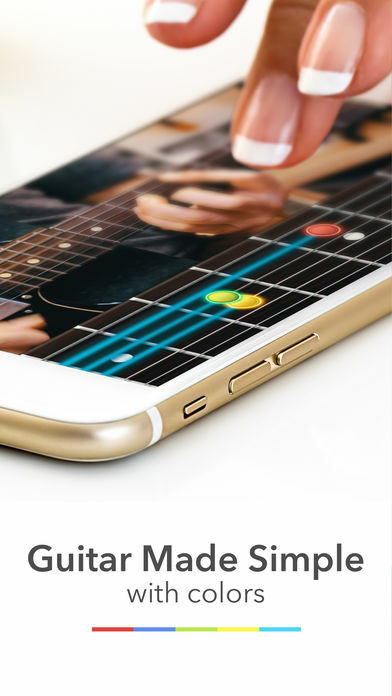 There is a different theory behind this app to teach how to play guitar. With this app, you will learn how to play popular songs on acoustic guitar with videos and animated Fretboard. This animated black Fretboard represent your fingers and the color dots represent your fingers. You can learn to play so many songs from Classical to pop all around the world and choose your favorite song and learn to play it. Coach Guitar app provides you guitar lessons for free on most of the popular songs such as “Happy Birthday” for beginners, “Diamonds” by Rihanna, “No Woman No Cry” by Bob Marley, “Tears in Heaven” by Eric Clapton, “Dust in The Wind” by Kansas, “Yesterday” by Beatles, and many more. It teaches you step-by-step through various professionals. If you’re left-handed or right-handed, you can get both the views. The app offers a backing track with voice and structure and chord diagram while playing the songs. Coach Guitar tuner includes almost 80 tunings in it. So you don’t need to search for any other option, you can learn to play guitar very quickly. To use this app, you can download it for free but, if you want to avail its extra features such as get unlimited access to the lessons then you can get the Coach Guitar Premium Pass. The subscription can be charged $9.99 monthly and for more details you can go to its website. However, it’s an option and the app can be used for free without it. So go to the iTunes Store and learn to play Guitar now. Pros: learn to play guitar without any music theory; HD video lessons; easy to use app; save time and money; free to use.